In these days when the latest comics' news flashes are presented on the front page of USA Today's Entertainment section one day before the comics are released, it is rare for a book to surprise me. 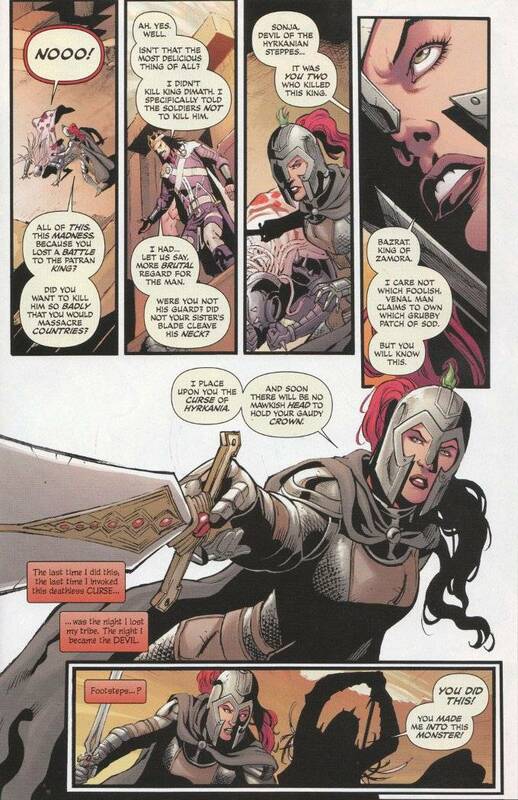 The new Red Sonja series has done that consistently. And the sixth issue, concluding the Queen of Plagues storyline, has proven particularly astonishing. Artist Walter Geovani is an underrated treasure. 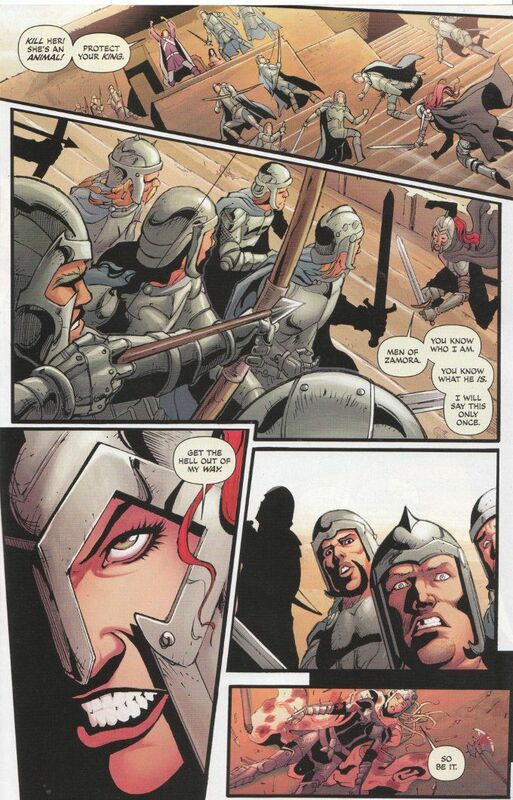 I greatly enjoyed Geovani's work on previous Red Sonja books and wished he'd be given a lengthier engagement on the series than he'd had previously. As in previous issues, Geovani continues to show why he is one of the best sword-and-sorcery artists in the business today. Gail Simone's script reveals a number of surprising twists in this final chapter. Miraculously not a one of them feels tacked-on or added just for the sake of shock value. Longtime fans of Simone's oeuvre may be surprised to see how straight the queen of comic-book comedy plays things here. This issue is all action with nary a bit of snark or sarcasm. What won't surprise anyone is how good the final product is.